The days disappear so fast. It is so hard to believe that my 8th grader will be starting high school this fall. I'm not sure I'm ready for this! 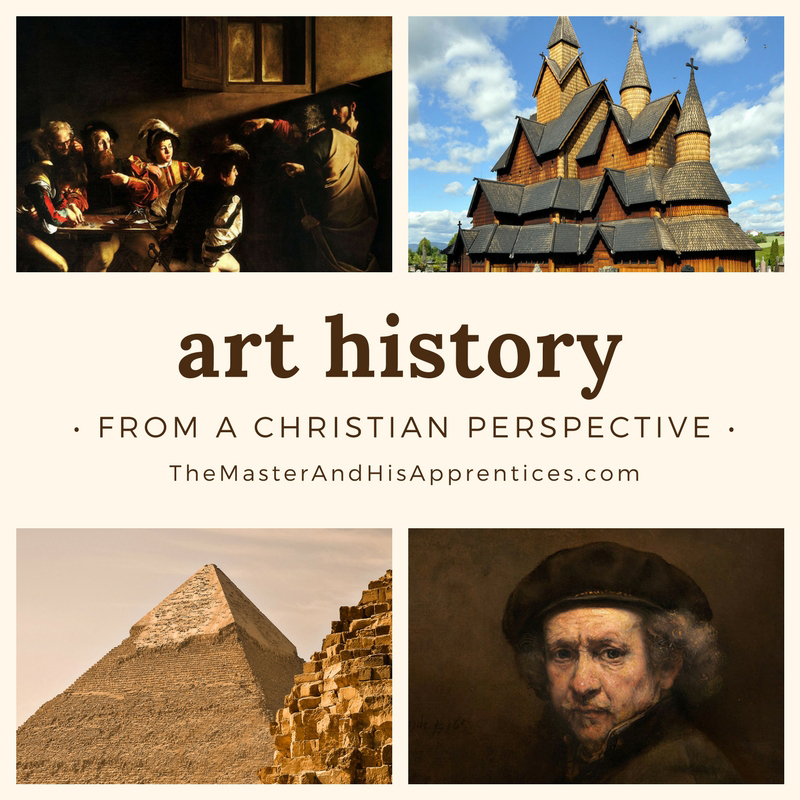 As I was contemplating curriculum I had the opportunity to review The Master and His Apprentices: Art History from a Christian Perspective from The Master and His Apprentices. I received digital copies in PDF file format for both the Textbook and the Teacher Guide. The files were simple to download and with the print/photocopy rights, I was able to print out the Teacher Guide on my color printer. You can also print the Textbook, but it is VERY large (380 pages) and I chose to download the PDF file to my son's Kindle Fire. He can use it as a digital textbook and it works just great! This is a full curriculum and qualifies for a full high school elective credit under art history. The Teacher Guide contains all the workbook pages, paper assignments, and tests needed to complete the course. Of course, there is also an included answer key at the back of the Teacher Guide. There are a total of 4 written papers and 4 exams. The curriculum covers 36 weeks (19 chapters in the Textbook) that amount to over 120 hours (spending about 3-4 hours per week on assignments) of work. I REALLY like that it also comes with a sample syllabus and a link to a file so you can customize the syllabus as you like. If you need to shorten the 36 weeks there are suggestions in the teacher guide on how you can do that. 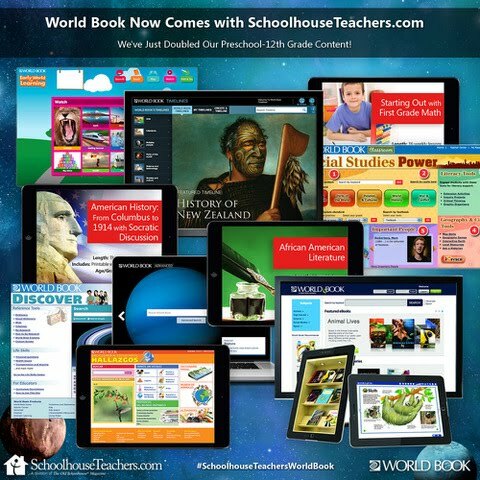 It is recommended that you view the digital textbook from a computer because of the size of the pages, but it has not been too bad or awkward on my son's Kindle Fire 8. If you will be printing your digital files there are included instructions on how to do this on either auto duplex or single-sided printers. If you will be printing for more than one student/child you can easily purchase the $2 license for each additional copy. You can't beat this price!! Chapter 1 introduces art and Chapter 2 covers the beginning, Creation (I love this!). 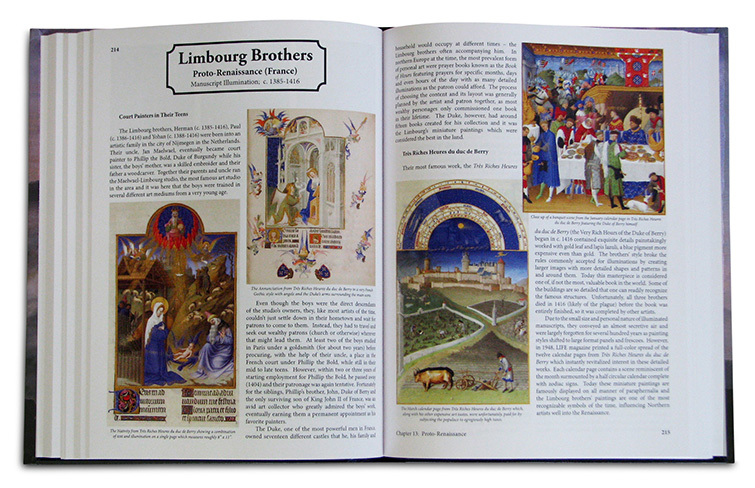 There are over 600 images in the textbook. I imagine the hardcover book is fantastic to view. The images on our computer screen are incredible. Also, note that the digital textbook is formatted just like the physical copy so they can be followed page by page. The text does not flow like a typical pdf or kindle page but has two columns per page like the physical textbook. Being able to cover Art History from a Christian Perspective is such a blessing. This is such a doable elective and a good introduction for my struggling learner who just does NOT like to read or do any schoolwork for that matter! Our schedule for this curriculum follows the syllabus pretty closely. Our goal is to cover a chapter a week (sometimes a challenge in the summer). Instead of relying on him to do the reading I am using the textbook as a read aloud right now. I will be giving him a lot of grace in his 9th-grade year because I know he struggles so much. We will get through this and he will realize that he is more than capable of independent study. I break the chapters up into daily readings (easier for him to process). We take time to discuss the daily readings and then he works on the chapter questions throughout the week. If you are looking for electives and would like to cover art history than this is the curriculum for you. We are learning a lot and despite his objections, he is enjoying the learning too. 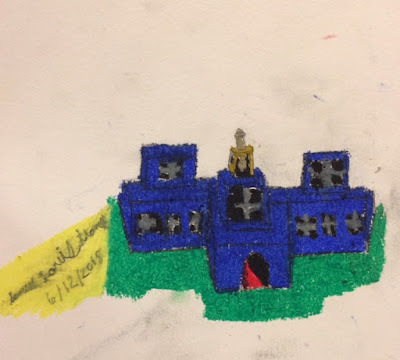 He is a budding artist and loves to draw so this is not so far out there for him. 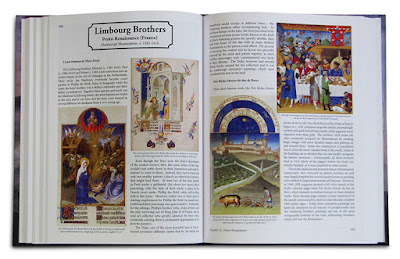 We give The Master and His Apprentices: Art History from a Christian Perspective a thumbs up. You can connect with The Master and His Apprentices on FACEBOOK and PINTEREST. 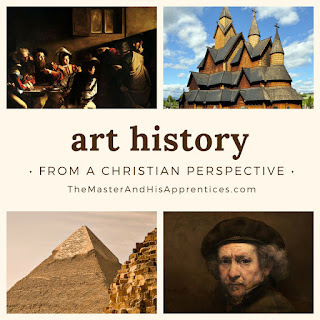 Please also be sure to check the others reviews out to see what everyone else is saying about this wonderful Christian Art History curriculum. And we shall call her Pip. She is so tiny. She may be a he, but I hope not! Pip was abandoned by her mom in our other coop. She was born a few days after her siblings and her mom decided to reject her. Sassy, after some convincing, decided she was up to the task of fostering this little cutie. I'm pretty sure she is one of Sir Galahad's offspring (he was the cute black silkie I had to rehome recently because the other rooster in the pen had had enough of him). Pip's mother is Snow White, my supposed Olive Egger that lays like a typical Easter Egger (she is all white). Pip has feathers on her legs but I am not yet convinced she has all black skin so we shall see. She is only about a week, maybe two younger than her current foster siblings, but she is SO TINY!! 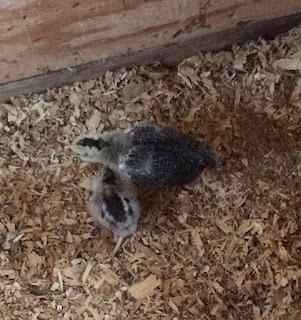 (Another reason I am thinking she is a silkie). At first, her new siblings were scared to death of her. It was so comical. This tiny little thing chasing them everywhere because she just wanted a friend. She has adjusted so well and they are all doing fabulously together. It is so cute. Today her big sissy actually was trying to protect her from me when I was trying to catch her. Gave me a good chuckle. It's never a dull moment in the chicken yard! Plenty more stories to come. 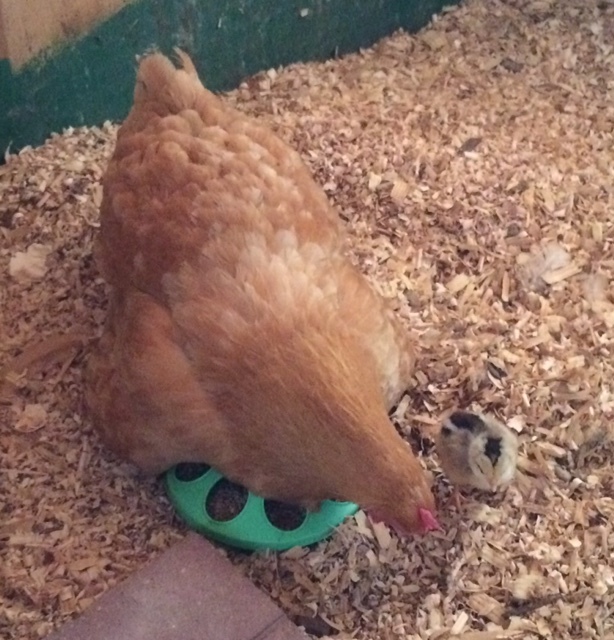 Waiting on some chicks that were ordered because we have TWO more broody mommas whose eggs didn't hatch. I ordered Australorp, Amber Link, Light Brahma and if I'm lucky Lavender Orpingtons! Are you hatching? Did you hatch any this spring? What's in your egg basket? It's easy to take learning to read for granted. You just get a simple phonics program and before you know it, voila, your child is reading, right? Well, that generally works as long as your child doesn't have learning issues such as ADHD, dyslexia, or processing problems. I was so glad to have a chance to review the Reading Intervention Programs from MaxScholar. I received a 12-month online digital subscription to this reading intervention program for both of my kids (age 5 and 14). 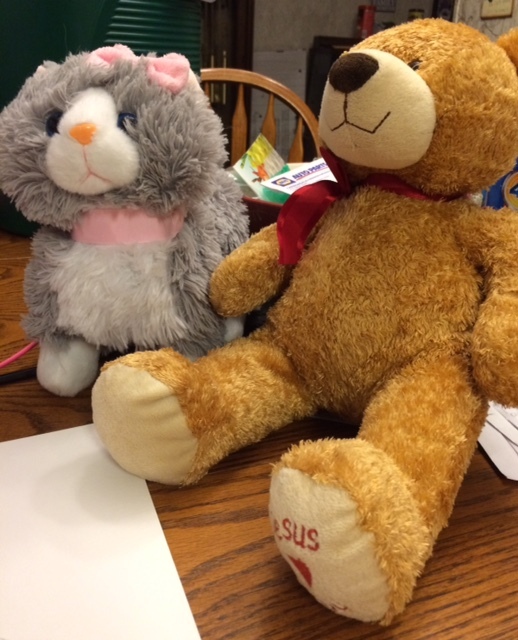 The programs are geared for Pre-K to 12th grade but can also be used for adults needing help. Remember, this is a READING INTERVENTION program. It is geared toward struggling learners such as those with ADHD, dyslexia, or processing problems. I learned the hard way with my son that he needed the Orton-Gillingham approach to learning to read. He had both ADHD and dyslexia and he still wasn't reading by 2nd grade. Thanks to the Orton-Gillingham approach my son was reading at level by the end of his 2nd-grade year. MaxScholar uses a multi-sensory approach based on Orton-Gillingham, Lindamood-Bell Process©, and other phonics and reading strategies. I really could have used MaxScholar back then but was glad there was something available at the time that helped us. Now, with Little Bug getting ready to start Kindergarten in the fall I was so happy to have MaxScholar available for her. She does not seem to have the same problems as my son had but has her own learning struggles that we are still trying to figure out. 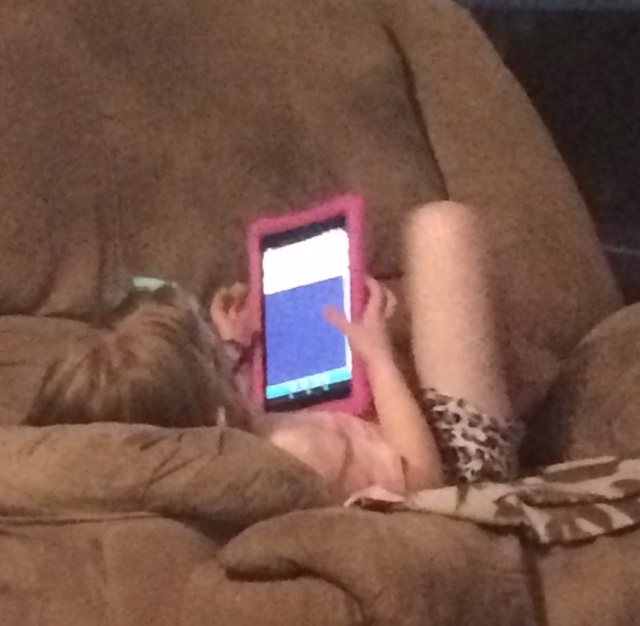 So far she is doing well with MaxScholar. Since she is only 5 we are focusing on the phonics part of the program. She usually only takes about 15 min or so to complete a lesson. Her lessons are reinforcing the skills she has learned and introducing more blending that she has not worked on much yet. Once you open your account and log in, access to the different programs is very simple and easy through your dashboard. There are pretests to be taken to place your child at the correct level. The Reading Intervention Programs that are available include Pre-K PHONICS (age 3-5), MAXPHONICS (age 5-7), MAXREADING (reading comprehension, highlighting, summarizing and outlining too), MAXWORDS (building words with prefixes, suffixes, and Greek and Latin roots), MAXMUSIC (learning games for memory, recognition, and auditory skills), MAXVOCAB (dictionary and vocabulary games), MAXPLACES (exploring the world), and MAXBIOS (biographies with timelines that teach chronological ordering skills). The three main programs are the MAXPHONICS, MAXREADING, and MAXWORDS. The other 4 programs use games and strategies to enhance the learning process in reading and writing. For example, in MAXPLACES your child can choose a destination, then read a selection about that place, learn to highlight important points, and answer questions about the passage. It helps you work on your highlighting skills and reading comprehension. Don't let the age designations keep you from realizing that this program is for adults as well as kids. For those who have either never learned to read or that need help in spelling and reading skills, these programs are geared to help even adults. For students who excel, this program would probably be too easy and boring for them unless they needed help with specific skills like reading comprehension. For the purpose this program was created for, I think it is wonderful. MaxPlaces questions from the reading passage. I can't get over how much material is available for our kids and they are really enjoying working through the program. The lessons are fairly simple and short enough that they do not become bored or overly frustrated with the material. While Little Bug is mainly doing phonics I have my 14-year-old working heavily on MAXWORDS to get his vocabulary boosted and learn his Greek and Latin roots. I truly believe our kids can excel when they can learn the root words. There will be no limit to the words they can learn and decipher in the future with these skills. Based on what we have worked with so far and what I see for potential with my kids I would definitely recommend a subscription to these Reading Intervention Programs if you have struggling learners. You can connect with MaxScholar on FACEBOOK, TWITTER, and LINKEDIN. Please be sure to look at the other reviews from my fellow Crew members to get more information from different perspectives on this program. Want to try it for FREE? Check out their 10-day FREE Trial offer, no credit card or commitment necessary! The little stinkers never stay still! I have tried to get pics on them for a while now, but they never turn out cause they run from the camera! LOL. So, here they are. The best I can get right now. They are cute, fluffy, and healthy. Mom protects them fiercely. Our weather has been SO hot lately. Even with fans and misters the coop inside has been about 100 degrees. Our "feels like" outside temps have been around 105 degrees! The chickens are stressed. I always do ice water and misters in the hot summers anyway and make sure they get electrolytes as needed also. Hope we get a break soon. The effect of the heat is cumulative on the flock and if it continues it may not have a happy ending. We lost one last year to heat stress despite all efforts to keep it from happening. 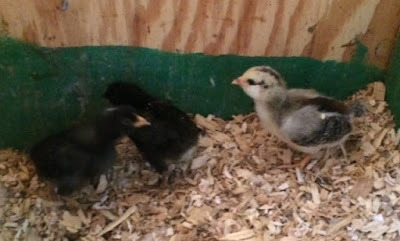 I can't believe they are already feathering and getting their tail feathers! I'm hoping for at least one or two pullets out of this bunch. The odds are against me, but I can dream :). I really hope the Easter Egger is a pullet. 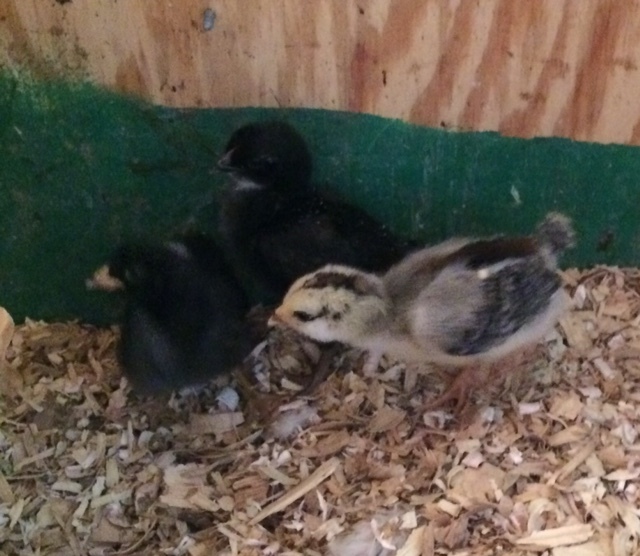 Wouldn't mind if the one that resembles an Australorp baby was also a pullet. Time will tell and I will have updates. What's new in your flock lately? 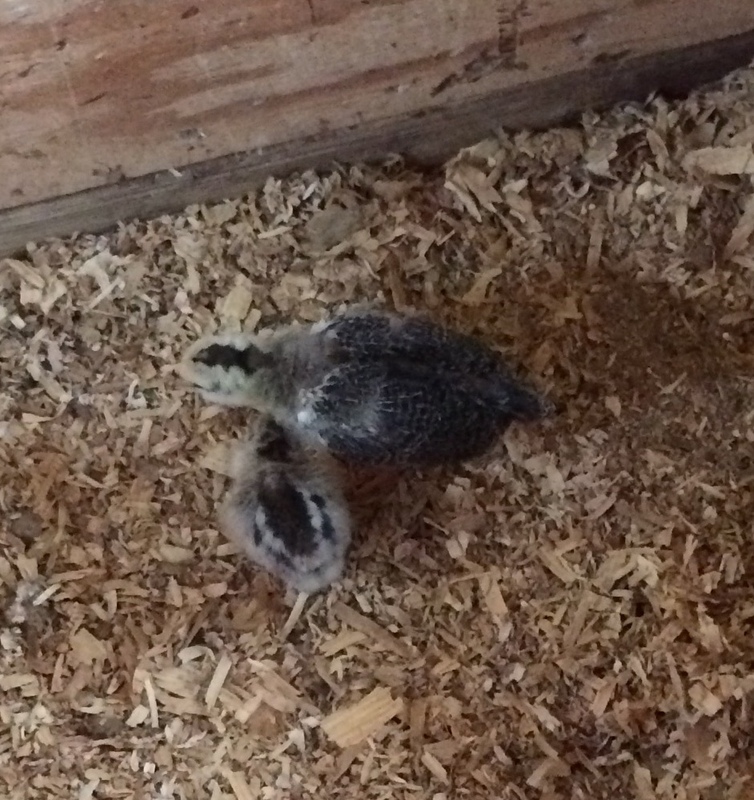 Any broody mommas or hatched chicks? Memoria Press never seems to fail when it comes to wonderful classical Christian curriculum that will enhance your child's education. I was so happy to have a chance to review Traditional Logic I Complete Set. Yes, I did say Complete Set! I received the physical products that included the Instructional DVDs (Introduction plus 13 lessons on 2 DVDs), Text book, Student Workbook, Teacher Key, and Quizzes & Tests. It is designed as a one-semester course. This was so perfect with my 14-year-old starting High School in the fall. We're getting a good head start now on his High School studies. Even though it is a one-semester course, the author recommends you consider the option of combining some lessons (which he has specific suggestions for) to finish it early so that you would have extra time to work on the more complex topics in Traditional Logic II. Now, of course, my son being who he is, was NOT happy about this course, but I was elated! It is something I feel he needs to have and after working through some of the book he is now at least a little intrigued. I really like the way the lessons are laid out. You cover a chapter a week with individual assignments each day. Bite size pieces is what he likes. It is a good fit for him. The author, Martin Cothran, is also the teacher on the videos. There are PDF slides available on the DVD (or they can also be downloaded from a link they give you) of the lessons to be printed if you like. While you watch the DVD there is a notation on the bottom as to what slide(s) they are on. Our typical week working on the program consisted of watching the lesson video on day 1. On day 2 he would do the lesson for the day out of the workbook which consisted of reading a portion of the chapter out of the Text book and then filling out the blanks in the workbook. This is also where I expected him to start learning to take notes by highlighting important information out of the Text book. Within each chapter, there are 4 daily lessons so after he finished Day 4 lesson (on a Friday since we did lessons Mon-Fri) I would administer the short quiz out of the Quizzes & Tests book. There are a total of 13 quizzes and 1 Final Exam in the Quizzes & Tests book. I really like that the lessons are pretty short and easily completed. The author is easy enough to listen to and the content, in my opinion, is wonderful. I am so glad my son gets to go through this. I never had the opportunity for a logic course in high school and I think it is a good thing for our kids to experience. At this point, my plan is to purchase and continue with Traditional Logic II for his second semester freshman year. I definitely recommend you check out the Traditional Logic I Complete Set. You can connect with Memoria Press on FACEBOOK, TWITTER, PINTEREST, INSTAGRAM, GOOGLE+, and YOUTUBE. Please also take the time to check out what my fellow Crew members have to say about this and the other products that were also reviewed to include New American Cursive, Traditional Logic II, and Classical Composition I and II. I just love The Critical Thinking Co. ™ I was so happy for us to have a chance to review their Critical Thinking Detective: Vocabulary. I am always up for increased vocabulary in my children and this book sounded like a lot of fun. I received a physical copy of this 38 page paperback book. It is recommended for grades 5 - 12+. I like the + part as I have enjoyed working these with my soon to be 9th-grade son. Each lesson is a mystery case you need to solve and it includes about 18-25 new and challenging vocabulary words. Per their website, "The vocabulary in these mysteries is taken from the Sat’s most difficult word lists and top look-ups for Merriam Webster online dictionary." If you do not understand or know what the vocabulary words are, you will have a VERY difficult time solving the mystery. There are a total of 12 cases in Vocabulary Book 1. The book is also available as an electronic ebook download and the copyright license allows you to copy pages for your family use. There is a guideline at the beginning of the book that gives you pointers on how to solve the cases. They are challenging but once you have the definitions of the unknown vocabulary words, the pieces start to fit together and solving the mystery becomes a little easier. The cases begin with the premise that the story and the suspects' statements are true. The story/case is presented in a couple paragraphs, then any further helps like customer statements might follow and finally, the suspects are listed with pictures and information. Your student must use all the available clues and information to slowly eliminate the innocent and narrow down the guilty suspect. It's a lot of fun and really gets their mind working. If you really get stumped remember, the answers are in the back of the book. We've had a lot of fun working through the cases. After each case, there is an additional activity that uses fill in the blanks to further use your newly learned vocabulary words. If there are any synonyms in your word list you may use either word to fill in the blank. Remember, the answers are in the back of the book to both the mystery case and the fill in the blank section. Since I wanted my son to not only learn new vocabulary words but also to work on his dictionary and alphabetizing skills, I broke each case down into separate lessons. The first day I would have him look up all the words from the vocabulary list and write the definitions down. Then I would have him write the list in alphabetical order. The next day he would work on solving the case. Finally, he would use the vocabulary list to fill in the blanks. Doing it this way kept it from being overwhelming and allowed him more time for the new words to sink in. He was very reluctant at first and he definitely does NOT like looking words up in the dictionary (his dysgraphia also poses a challenge when I make him write the definitions down), but he agrees that solving the cases is kinda fun. I really like the way these are done and think it is a great way to get kids thinking deductively. I definitely recommend Critical Thinking Detective: Vocabulary by The Critical Thinking Co. ™ It is a wonderful language arts supplement that teaches them so many critical thinking skills. You can connect with them on FACEBOOK, GOOGLE+, TWITTER, and PINTEREST. Please also be sure to check out more reviews on this book and some of their other products that my fellow Crew members reviewed.